Chaya Milchtein of Mechanic Shop Femme. Spring is finally peeking its head out! I mean I want to say that, until it started snowing again, of course! I love using this time in the Midwest as renewal, refreshing my life and the things in it. One of the places I spend a lot of time in, and I’m sure you do too, is my car. Getting a car detailed is an expensive endeavor, so I wanted to share my favorite products for getting the inside cleaned and well-protected. With all the right tools, getting it clean and fresh isn’t really too much of a struggle – but it makes a huge difference. Once it’s clean, maintaining is a breeze! I’m Chaya Milchtein, the blogger and automotive educator over at Mechanic Shop Femme. My platform focuses on empowering women and LGBT people through car education and fashion inspiration. I’ve dedicated myself to making cars as accessible as possible by providing information in an easy to understand way. Cars are a funny form of investment. While they decrease in value almost immediately, there are some ways to help them hold value as long as possible. One of those ways is protecting and keeping the interior of the car as clean as possible. Carpets attract dirt, leather cracks, and plastic gets sticky. Having the right products both to clean and to protect all the different surfaces is vital in helping your car hold value. If I’m looking to buy a car, and I get into it and the interior is spotless, I’m super impressed! I’m sure you would be too. Larger families can have a harder time doing this with extra bodies loading and unloading all the time, so I’m including products that deter dirt as well. I don’t know about you, but leather seats are my absolute favorite. 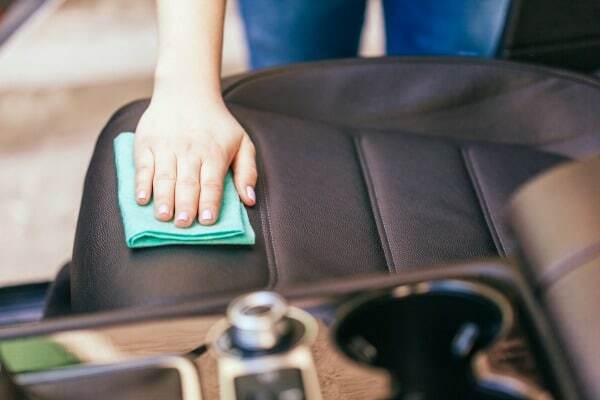 Contrary to what you might have heard, keeping leather seats clean is so much easier than fabric ones, especially with any little ones! My favorite product is from 303 Brand Detailing Products, and it’s a 3-in-1 leather protectant, conditioner and cleaner. Fabulous product that you only need to apply monthly! I love that this product helps repel dust and dirt, plus condition the seats to avoid cracking over time. It’s also a super versatile product – it can be used to clean and protect any leather products like purses, shoes, and couches. Fabric seats and carpets are harder to keep clean, but there are ways – have no fear! Make sure to keep them vacuumed and if they are heavily soiled, start with a steam clean! I love the 303 Products Stain Guard, which while it doesn’t clean at all, does a great job of preventing the carpets and seats from getting stained in the first place. 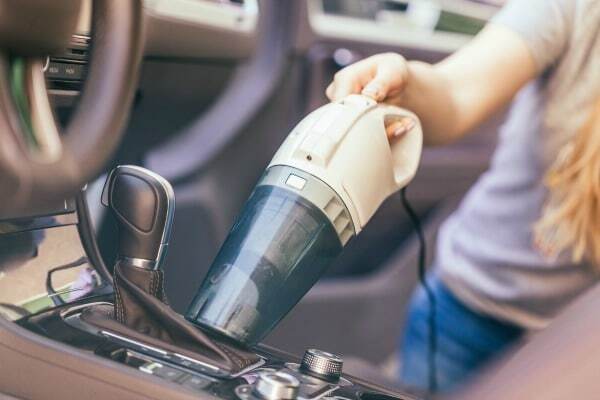 Handheld car vacuums will help you maintain that clean as well, so you can easily remove crumbs and dirt without heading to the car wash.
Do you have a hose? You can have your kids help with the car cleaning by having them hose off the dirty rubber mats right in your driveway way – easy, fun cleaning (just have towels handy). There are lots of rubber products available out there that would be perfect if you need a little deeper clean. In fact, pretty much any tire cleaner would do the trick. One of my favorites is the 303 Tire and Rubber Cleaner because it is a foam base that changes colors when it finishes its cleaning, which is pretty awesome. As the name suggests, it’s also a great tire cleaner if you decide to tackle the outside of the car as well. I find that one of the hardest things to clean are cup holders and door handle areas. Usually I spray with a simple solution of water, dish soap and a little vinegar and let it soak for a little bit, so it’s less work scrubbing. Then I wipe with a rag like an microfiber absorbent cleaning cloth. If there are still crumbs in the crevices, usually some cotton balls or a cotton swab will easily navigate and get a really deep clean. One other thing! Many cars have removable liners in the cupholders, if yours does just pop those out and wash in the house for an easier clean. My favorite trick for cleaning glass is to use Windex and newspapers. No idea why this works, but wiping the glass down with the newspaper leaves it magically streak free. Just spray, wipe down, and viola. Don’t forget the mirrors, electronics, and your mileage display! 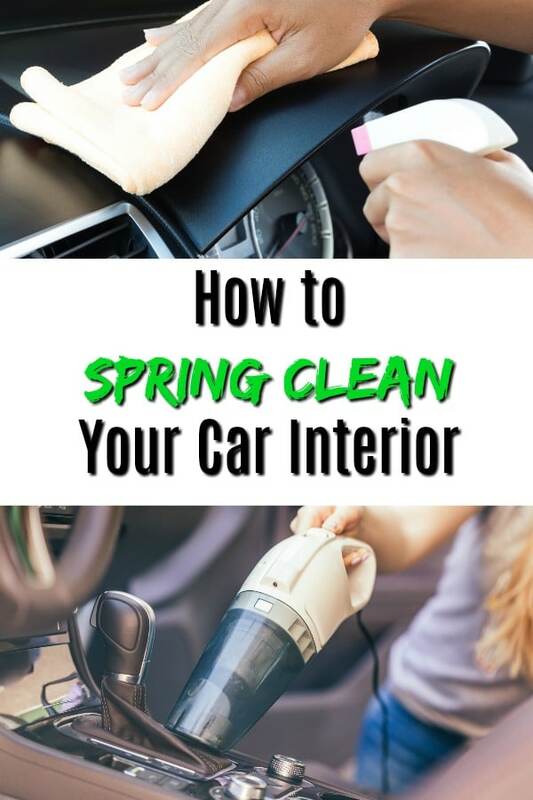 Cleaning your car can really be a fun and rewarding task. Turn on some music and jam out! Interested in learning more about cars in a non-threatening or exhausting way? 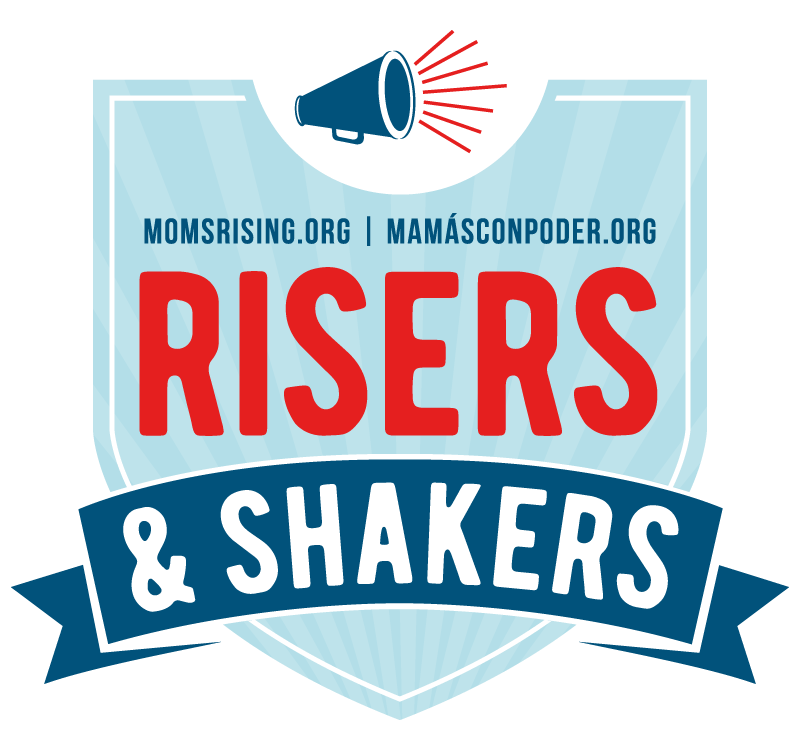 Besides my blog, which is full of easy-to-digest info, you can also take online classes that are held live in small groups, or dive into one-on-one consulting for even more personalized help. Cars should be accessible to everyone, and arming yourself with knowledge will make you a better consumer and more comfortable in and out of the shop.